A Columbus Ohio Attorney who represents Unmarried Parents – Mothers or Fathers – article about the rights of unmarried parents in Oho. 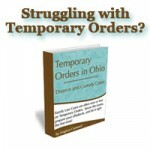 In Ohio, when a child is born to parents who are not married, the mother has sole custody of the child. The father has no right to see the child at all until he goes to court to obtain those rights. See the father’s rights section of this website, under Answers to Your Questions. When a couple who is not married splits up, they often struggle about when or if the father is going to see the child. Emotional issues get in the way, and power struggles result, placing the child squarely in the middle. Many times, fathers try to avoid going to court to get court ordered time with their child because of the cost involved, or because they are afraid they will formally have to start paying child support. Here’s the thing – fathers of children who were not married in Ohio have no rights UNTIL THEY GO GET THEM. So, bottom line, there is nothing for it but through it. Often, once parenting orders are in place, relations between the parents become less difficult because boundaries are established and there is no need for a contstant power struggle. So mothers and fathers alike need to ask themselves this question: Are we going to do this now, while we can reasonably get along, or later, after years of arguments because there are no guidelines and boundaries regarding when each parent will see the child? The longer you wait, the more difficult it may become. Court does not have to be a battle. Parents can set court orders by agreement. 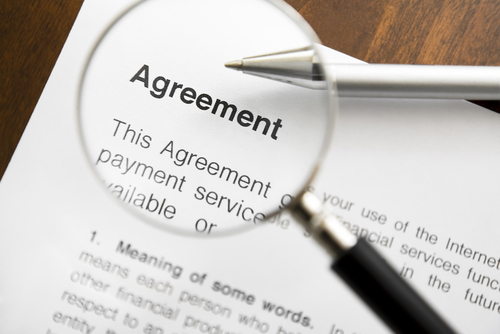 If the parents need help preparing an agreement, one or both can hire an attorney (each attorney can only represent one parent). If parents need help reaching agreement, they can utilize counseling, mediation, even friends and family members to help them talk things out. The important thing is not to delay dealing with the issue, allowing hostility to increase. For more information about UNMARRIED PARENTS IN OHIO, see our page regarding UNMARRIED PARENTS. For more information about FATHER’S RIGHTS, see our page regarding FATHER’S RIGHTS IN OHIO. For more information about obtaining CUSTODY, SHARED PARENTING, OR VISITATION in Ohio, see our post about OHIO CUSTODY. So basically in Ohio it does not matter the father gets screwed no matter what. My son fought to establish paternity because she denied he was the father and took her to court and now only gets 2hrs per week with his five month old son. How is any bonding supposed to happen in 2hrs time. He has to pay so much in support he cant pay his bills or support himself. But he is also required to keep everything on hand to take care of his son when he has him for 2hrs. I find this excessive. I realize he helped make this baby but hes getting screwed for stepping up and saying this is my child and I want to be apart of his life. He would have been better off leaving it go and let her tell her new boyfriend it really is his baby. Not married to my child’s dad, child’ds dad is a convicted felon, was in prison for 5 years, 3 DUI’s, has no driver’s licence, the crimes he was sent to prison for , include Domestic Viloence, Kidnapping, Menancing/Stalking, and Aggrvated Burglary, can I ask for supervised visitation, and can he get full custody? Is a non-legal written agreement between me and the child’s father considered “parenting” orders as stated above? And do I get to decide when my son gets to see his father? Also, we already have a non-legal written agreement in place but I don’t like the way visitation has been going and I would like to change it but my son’s father won’t change it do I have a right to change it anyways? And even if we agree and can get along does he HAVE to go to court to get visitation rights or can we do it by ourselves like we have been doing? hello im m________, 24 my son is 13mnths n baby dad is 43. my first child his second he is paying support for his first n tells me he wants to fight me court making me pay high cost for custody. what exactly r my rights?? i wouldnt mind shared parenting but hes not helping me out. hasnt bought diapers wipes medicine food or anything of that nature and thinks he can over pay his way out what can i do please help!! !